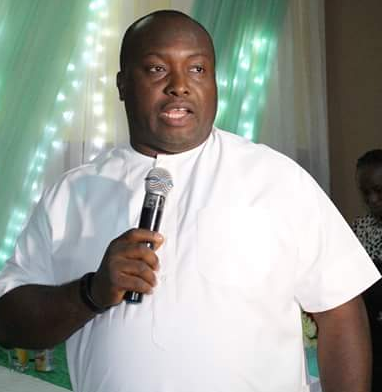 An Abuja High Court in Jabi on Thursday rejected the application of Ifeanyi Ubah, the chairman of Capital Oil to secure freedom from the custody of the State Security Service, SSS. The ruling came after another court in Lagos said Mr. Ubah be released if he is not charged within 48 hours. Mr. Ubah was arrested by the SSS on May 5, over alleged diversion of petrol kept in his tank farm in Lagos by the Nigerian National Petroleum Corporation (NNPC). The NNPC had claimed that the petrol kept in Mr. Ubah’s farm valued at N11 billion, saying it was an attempt by the defendant to cause scarcity of the product in the country. Justice Yusuf Halilu of FCT High court at the resumed hearing on the matter, granted the order following an ex-parte application brought before him by the Counsel to DSS, G. O. Agbadua. According to Mr. Halilu, it is necessary to grant SSS application in the interest of justice to allow it carry out more investigations about the whole matter. Mr. Halilu had earlier dismissed an application by Mr. Ubah praying the court to set aside its earlier order of May 10, which granted leave to DSS to detain the defendant in the agency custody. Earlier, Ifeoma Esom, the Counsel to the defendant had also prayed the court to set aside it order of May 10 granting leave to the SSS to detain Mr. Ubah. FEW EXCERPTS that will make u remove oil thief from the caption.capital oil vs nnpc. 1,there is what is called throughput contents in the contract document btw nnpc and capital. 2,thruput agreement in accordance with norms and practice worldwide,allow conversion and diversion of its products by the operator so long as the operator is prepared to re deliver the products in terms of current contract within seven days of demand by the products owner or pay a penalty for non delivery. the penalty tore deliver is expressly stated by the contract to be a mere breach of contract remediable by the payment of penalty by the owner.penalty attracts one percent interest at operators farm. refer to common law rule of warehouseman lien .which is a security right which gives the warehouse man rights over goods that can take precedence over right of others.,including the owner. the ware house man is entitled to exercise the lien when he/sh is left unpaid for services rendered and in so doing will gain legal control over the goods. 3 in view of the above,Dr ifeanyi ubah can exercise the securty right to sell the nnpc ful if they refuse to pay their debt. dss lawyer should notplay ignorant not knowing the above scenario exists..
judge issued his release in 48hrs and they rush to get injunction from another court to detain him for xtra fourteen days. which i can go on. efcc need to get to the root and let the man defend himself.pettiness in such matter makes no sense.still waiting on pressing issues like the money stashed in osbourne towers,and the untouchables in the society. i believein rule of regardless of who is involved.nobody i above the law and no one should witch hunt another.